Think of great Apple products. There’s the iPod, iPad and the iPhone which were all launched between 2001 and 2010, the original Apple Mac which was launched in 1984... and before that was the Apple II, launched in 1977. Like all those other devices, the Apple II really represented a paradigm shift. It was one of the very first professionally designed, pre-built and fully-features microcomputers that just anybody with enough money could go out to buy. 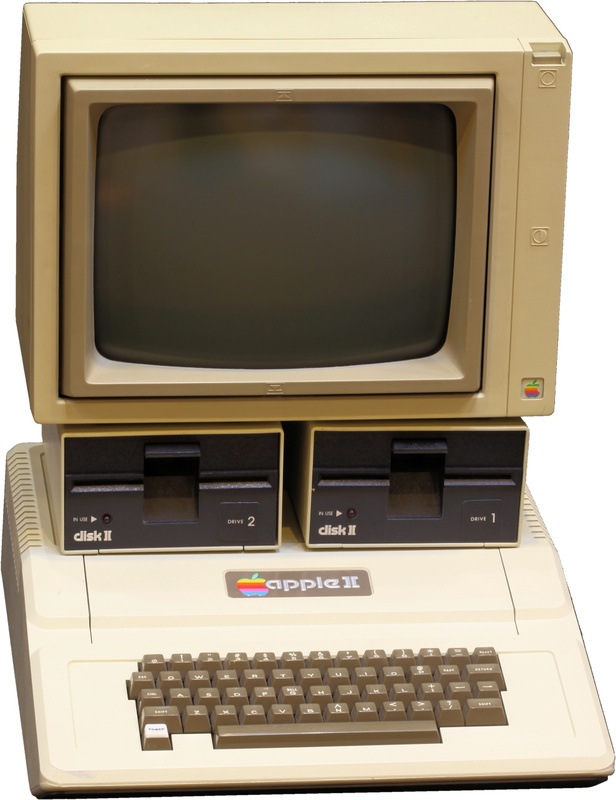 Just one year previously, Apple had launched the Apple I. Technologically similar to the Apple II, Apple’s original computer didn’t even come with basic things such as a keyboard or case. The Apple II took those underpinnings, including the 6502 CPU, and created a computer “appliance” rather than a hobbyist kit. As with the Apple I, Steve Wozniak designed the internals which Steve Jobs took on marketing and responsibility for industrial design. Jobs gave the task of designing the look of the Apple II to Jerry Manock, a fairly unsung hero of Apple design who was responsible for many of their early products. Manock’s design of the system and many of its peripherals gave the Apple II a coherent and professional look. But inside, Wozniak had used several clever tricks to develop a machine that outclassed its early 8-bit opposition in many ways, in particular with rudimentary colour and sound. Added to that, the Apple II had impressive expansion capabilities including a variety of add-on cards that could eventually give SCSI, parallel and serial interfaces, and there were games paddles, disk drives and more. Peculiarly the Apple II was hindered by only being able to display uppercase characters. The introductory price in the US was just shy of $1300, which over $5000 in today’s prices. That seems like a lot, but you can easily spend that much money on a high-end Mac even today. 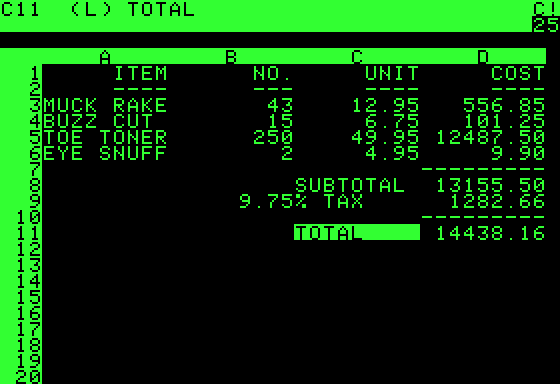 The Apple II was a huge success, even at those prices, and in one form or another it continued on sale until 1993. 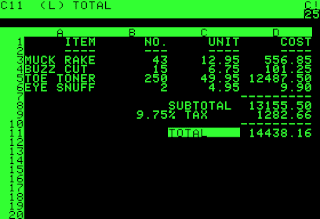 It also helped to create the microcomputer software industry, including VisiCalc – the first electronic spreadsheet for personal computers. The Apple II went through several fairly minor revisions during its 16 year lifespan. One reason for this unusual longevity was the II’s success in schools in the United States, where a wide range of software took advantage of the II’s colour capabilities. For collectors, there are usually quite a range of Apple IIs available second-hand. Prices range from few hundred dollars for a basic system up to several thousand for rarer versions, including the original “Revision 0” units. Alternatively, software emulators are available for most platforms and are much cheaper. Along with the Commodore PET and the Tandy/Radio Shack TRS-80, the Apple II helped to introduce many households and businesses to computing and in doing so they changed the world forever.